When you visit this lovely island in the Atlantic, you will learn the secrets as other visitors do. When it comes to enjoying marine life and aquatic activities, the Turks and Caicos offers it all. There are perfect areas for snorkelers and divers to explore. One such is the Smith’s Reef, which is located in Providenciales. It is a popular choice among tourists. Be prepared to enjoy a myriad of dramatic and colorful sea creatures. Then you can take in waters of Chalk Sound on a kayak. The Black Forest overhangs are filled with black coral, which you can freely explore. And make sure to check out the uninhabited French Cay also. There you can visit the bird sanctuary and a conch farm. While you comb the island and venture out on any of their aquatic excursions, you can stay at any of their myriad of inns, villas, guests’ houses and Turks and Caicos all inclusive hotels. Continue reading as we explore some more of this extravagant island. We will seek out what it has to offer and what are some of the best accommodations on the islands. There is so much to do on this island. It is simply a magnificent choice for a stress free vacation. This archipelago is located southeast of Bahamas, north of the Dominican Republic, Haiti and north east of Cuba. It was first known to be the home of Taino and Lucayan Indians. According to the Turks and Caicos Tourism website, “These original settlers left a rich heritage of seafaring, salt raking and farming, which still lingers on today. Words such as canoe, Caribbean and caicos are derived from the Arawak language. After Columbus and his pirates disembarked, pillaged and devastated the island, all the Indians died off from brutality or diseases. Later Bermuda used it to source salt. But it was later made a British colony to this day. In the 1980s, Club Med Turkoise Resort was the first resort to start the tourism industry. And now, the Turks and Caicos Islands are home to some of the most highly ranked beaches and hotels in the world. Providenciales has a turquoise lagoon called Chalk Sound. This area is a section of the national park. Some of the locale is untamed, calm, and has spectacular views. On the lake, you will see miniature rock-strewn islets loitering on the face of the lake. Anyone who enjoys going on nature walks this is the perfect location. You can do camping and soaking up everything of the great outdoors. As you move about look out for the island’s permanent residents, which should include gliding fish, stingrays and even the odd iguana. You can also have fun paddle boarding and kayaking on the waters. Unlike the other locations on the island, accommodations are sparse there on Chalk Sound. The villas located on the lake are equipped with modern amenities including free Wi-Fi. Enjoy the local delicacies and amazing views when you choose to dine at the restaurant. There is a lot to do on the capital island of Turks and Caicos. It is the cultural and historic hub of the area. You can almost walk around it in a day, as Grand Turk is just about seven miles long. Cockburn Town is home of the Grand Turk Cruise Center. It is on the western central side of the island. In this location, tourists have access to shopping and a number of other activities. There is also a NASA exhibit depicting surfboarding simulations. The natural ambiance is dazzling, and presents loads of ways that anyone can relax or go out and be adventurous. This section of the country boasts only a hotel and a few inns. All of which are located in Cockburn Town. Guests can benefit from lots of food, beach activities and other excursions. Expect subtle and warm interior decoration ranging from soft classic to contemporary and tropical. One of the most populated areas on the archipelago is Grace Bay. This area can be found in Providenciales. Majority of the hotels, motels, villas inns and other types of accommodations are located here. As such, this is where most tourists occupy during the high season. It is expected with the restaurants, tourist services and airport also residing in this general vicinity. A large majority of the hotels on the island of Turks and Caicos are situated right on the beach. So, all visitors get to enjoy those wonderful beach views. 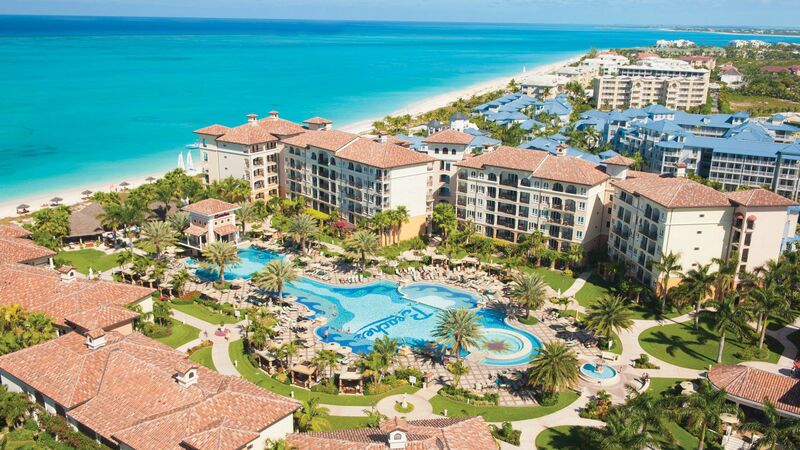 The Turks and Caicos all inclusive hotels are ranked highly. Visitors can expect well-manicured lawns, sprawling beaches with white sandy beaches, opulent pools, a plethora of lounge chairs for relaxation and worry free stays. Providenciales boasts many palm tree-adorned areas as well. If you want to capture a wide expanse of views, get a room on the upper floors of the hotel. You cannot help but look out in amazement on God’s beauty and nature’s intricacies. The turquoise waters are simply divine. In the early morning, many guests lounge on their balconies and partake of a rich and succulent breakfast. Turks and Caicos all inclusive hotels usually give you a taste of lavish living. When you think about upscale accommodations in the Caribbean, Turks and Caicos comes to mind. 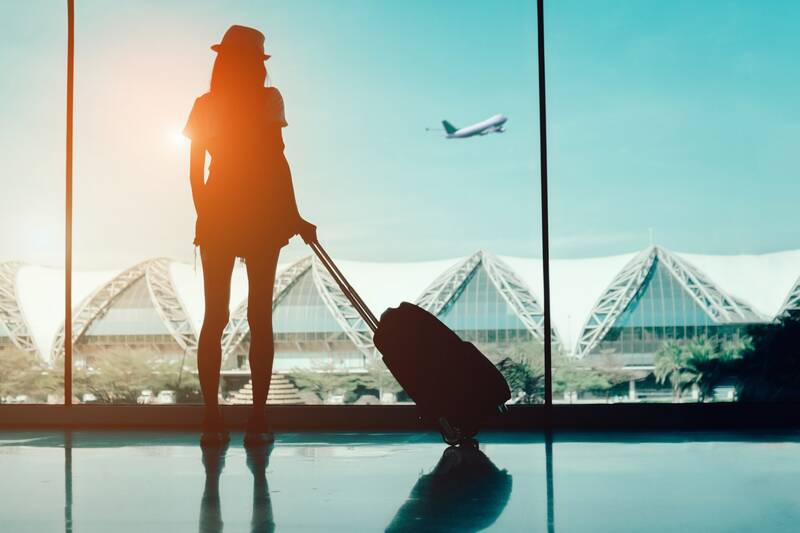 They cater to high-end clients because their many smaller accommodations, hotels, villas and resorts can be on the pricier side of people’s budgets. This archipelago oasis is home to many an inn, motel and hotel. However, it is always advised that you send in your hotel bookings months in advance for a guaranteed place to stay while you vacation on the island. This is far more necessary when the holiday seasons role in and droves of tourists flock to the island. At that time, the prices are even more excessive and room availability is sparse. If you are searching for an all-inclusive hotel or resort on the island, which has amenities and activities for the entire family, then Beaches will suit your needs. This 462-room property has a number of facilities, ranging from outstanding villages, 45,000 square-foot water parks to international cuisine. It is privy to the lush benefits from the beach that stretches on for 12 miles. 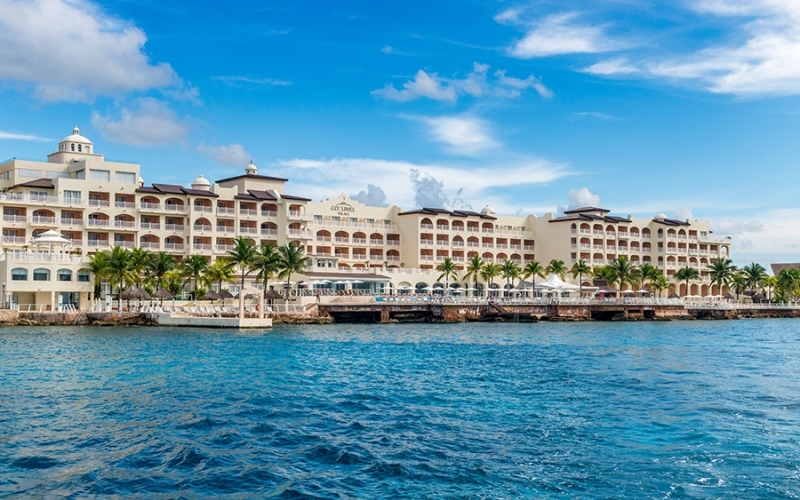 A number of water activities can be accessed at the hotel including kayaking, snorkeling, swimming, hydrobikes, windsurfing, paddle boarding, scuba diving, whirlpools and waterslides. If you are into sports, then there is a lot on offer. Some Beaches sporting activities include golf, croquet, basketball, horseshoes, day/night tennis, fitness centers, billiards/pool tables, bocce ball, fitness programs, shuffleboard, beach volleyball, table tennis, cards, dominoes and lawn chess. Some of the available amenities include a on-site convenience store, gym, spa, tennis court, pool, restaurant and the hotel is located right on the beach. Being on the number one beach in the world, ranked by TripAdvisor, sure has its perks. You can book a room at the hotel all throughout the year. Current rates start at $344 per person, per night (pp/pn). This is the resort that started it all back in the 1980s. It launched Turks and Caicos into the world of international tourism. This 300-room resort is an “adults only” destination. According to the Club Med Turkoise website, “Here, both couples and friends can learn what it truly means to disconnect. At Turkoise, adults have the luxury to do it all or nothing at all, making this the perfect vacation destination for action-packed adventure and romantic getaways alike! Located in Grace Bay of Providenciales, recently named Trip Advisor’s 2017 Best Beach in the World, Club Med Turkoise offers a totally revamped resort center, including brand new pool, main bar, redesigned reception area, and brand new Deluxe rooms as well. A few of the accessible amenities consist of on-site convenience store, gym, spa, tennis court, pool, restaurant and the resort is situated right on the beach. You can choose from Club rooms, situated in two floor bungalows or brand new Deluxe rooms. The former are simple, non smoking rooms. However, the Deluxe rooms are newly renovated, with balcony views and premium amenities. Room rates start at $139 per adult, per night. This beautiful oasis has copped some of the top honors in the world. This gorgeous island is home to some of the best accommodations and beaches in the world. Vacationers will be spoiled for choices. However if you are looking for all inclusive locations check out and the local Club Med Turkoise resort and Beaches Turks & Caicos Resort Villages & Spa. The former is more suited to the adult clientele, while Beaches is all things family. 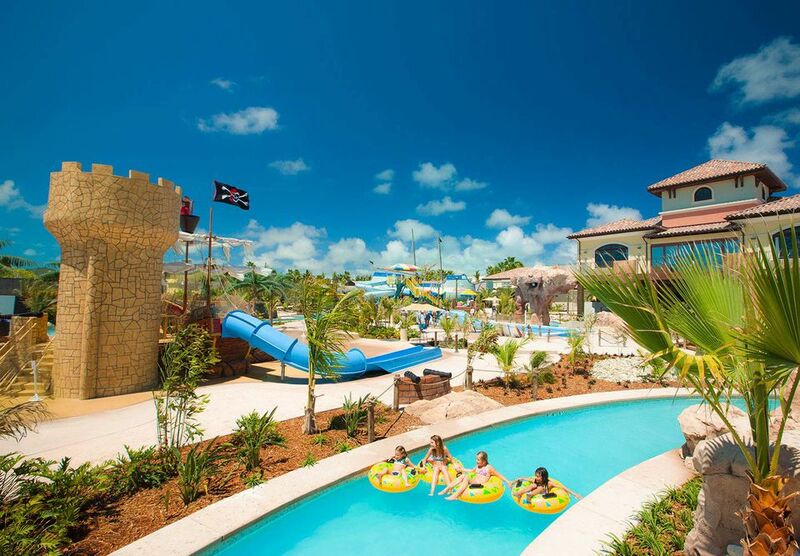 There are tons of activities, amenities and specialized services available at both resorts. The one you choose, should best suit your needs and your budget. Beaches Resort is a bit more on the pricy side, while Club Med is very economical. Turks and Caicos have so much to offer to any traveler seeking a great vacation. Remember to book early and secure your stay at any of their Turks and Caicos All Inclusive. Hey Buddy!, I found this information for you: "Turks And Caicos All Inclusive Resorts, Hotels And Inns". Here is the website link: https://caribbeansbest.org/turks-and-caicos-all-inclusive/. Thank you.